The Permanent Mechanism of Consultation and Political Agreement strongly condemned the coup d’état in Honduras that has interrupted the constitutional and democratic order of this country by illegally removing President José Manuel Zelaya Rosales from power. The group also rejected the use of armed force in the arbitrary arrest of the president who was forced to leave Honduras. 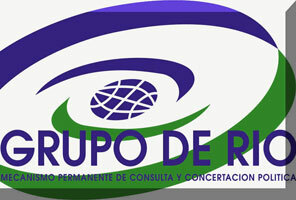 The Río Group declared that destroying the constitutional order is inadmissible and unacceptable and constitutes a practice that Latin American and Caribbean societies have categorically rejected. The Río Group repeated that adhering to democratic values and principles and unrestricted respect for the constitutional order and the Rule of Law must prevail over political differences. Member states of the mechanism expressed their total willingness to contribute to the immediate re-establishment of the institutional order in Honduras. They also urged all political actors in Honduras to avoid violence and demanded the immediate and unconditional restoration to power of their legitimate and constitutional president, José Manuel Zelaya and the rest of the legally constituted authorities.